Teeth whitening or teeth bleaching are some of the quickest ways to enhance your smile. Whitening your teeth is affordable in almost any budget and can be started in just one visit to the office. Teeth whiting and teeth bleaching are usually used interchangeably but are slightly different in their definition. Teeth Whitening – The process of physically removing stain from the teeth to lighten the shade and create a brighter appearance. This is usually achieved from cleaning and polishing the teeth, or using an abrasive toothpaste. Teeth Bleaching – The process of chemically whitening the teeth from the inside. Bleaching teeth involves using hydrogen peroxide or carbamide peroxide which seeps into the tooth to brighten the yellow inner layer of the tooth (dentin). When both procedures are done under the supervision of a dentist, they are safe and do not cause permanent damage. 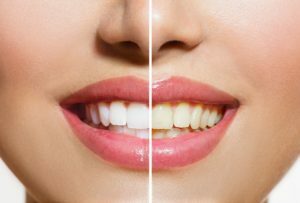 Dental bleaching is not usually a 2 week custom tray or white strip regimen or a 1 time in-office bleach. In fact, getting teeth truly white – a shade that sparkles – takes weeks to months depending on the patients original tooth color. Obviously, the darker the natural teeth, the longer it will take. Yellow tinted teeth bleach the best and easiest. Tetracycline stained (gray) or “bonded” teeth can bleach with lots of long term in-office (5-8 treatments) or months (3-6 months) of at home bleaching for a minimum of 1 hour a day. Naturally, a combination approach (home plus in-office) would work well here too. Using trays during sleep is best. Probably 3-5% of people do not experience a good bleach result, due to their particular teeth, too dark an original color, or compliance. Deep bleaching is a help for most patients. This is a combination of in-office and at-home techniques. The combination can be as little as one in-office plus the trays (or over the counter strips). Each in-office session is worth about 1-2 weeks of tray use – so the more in-office procedures a patient does the faster they will see white teeth. Our office does not use a light to support traditional bleaching since research shows it heats up the teeth, causes more discomfort, and does not really improve the bleach result. Bleaching is like an exercise or diet program. The more often you do it and the more diligent you are with it – the faster and more effective the bleach will work! We suggest starting out with 3 in-office bleaches or getting trays made to bleach at home after an in-office bleaching. Our office suggests 1 bleach every 2-3 days to maintain the light color to get started. Waiting a week between sessions is not advantageous. Bonding, veneers and crowns do not change color with bleaching. If a patient is bleaching before starting any cosmetic work, it is best to stop bleaching for 1 week before a final shade is chosen for the crowns and/or veneers. Bleaching dehydrates or dries out the teeth for 1-2 days after the procedure – so a patients’ teeth will appear whiter right after the bleach and gradually darken within 2 days. We suggest that only with in-office bleaching that a patient not eat or drink anything that would stain a white shirt. A handout is given to patients regarding this topic. Teeth are very porous after in office bleaching and can pick up stains more rapidly. This is why we “polish” the teeth after in-office bleaching. It is not necessary to have a teeth cleaning before bleaching, but it does help. For patients not wanting to have their teeth cleaned – we always polish the teeth first to remove any plaque buildup. About 1/3 of all patients will have sensitivity with any bleaching procedure. Usually it is more severe with the in-office technique – we call it the “ZINGS”. It will go away in 24-48 hours but during that time, flashes of discomfort can come and go randomly. This can be averted with using the bleach desensitizing trays and/or pain medication if the patient prefers. We suggest a combination of 2 Extra Strength Tylenol and 3 Ibuprofen (Advil) every 6 hours. For severe pain, the doctor may have to prescribe a stronger pain medication. For patients who are sensitive with the trays we will suggest initially using shorter bleaching sessions, 20-30 minutes, immediately followed by placement of a desensitizer into their cleaned out trays. It is always helpful for these patients to have desensitized for 1-2 weeks before starting any bleaching. What about the sensitive teeth patients? Most people can bleach if you just take the time to find out why they are sensitive. If it is gum line sensitivity due to recession or tooth erosion, using a week or two of desensitizing trays (bleach trays with fluoride or sensitive tooth toothpaste in them for 1 hour per day) or placing filling material over the affected areas will make bleaching procedures more comfortable. If the patient prefers not to desensitize or cover these areas or they are not sensitive – we will cover them with block out resin during the in-office bleach. The sensitivity may be due to decay – if so – the cavity must be filled first. It is always advised to address the reason for sensitivity prior to bleaching. Every patient will receive a complementary exam by one of our doctors prior to bleaching to address any potential sensitivity problems. Many patients want the strongest bleach possible to get (what they think) is a faster bleach. Research shows differently. A 20% bleach does not bleach teeth twice as fast as the 10%. It may bleach a little faster but also causes more sensitivity! 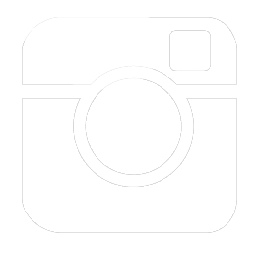 The Goldstein Dental Center has some of the lowest teeth whitening prices when compared to other dental offices in Buckhead or Atlanta. Call today to inquire about our teeth whitening and various specials. $249Per session of in-office bleaching or 1 set of custom bleaching trays. Save $100 when you purchase three!